To a greater or lesser degree, we all kid ourselves. We often can’t see the reality of a situation. Instead we believe a mixture of what is and what we would like it be as the truth. We see it all the while in golf—on and off the course. Who of us hasn’t tried an impossible shot from an impossible lie in an impossible position? Take a situation burned into my memory, the qualifying tournament for a spot in the field at the US Senior Open…after a pulled tee shot into the scrub under a stand of Spanish moss-draped oaks the ball came to nestled amongst fallen oak leaves leaving almost no shot. Being unable to see that simple piece of reality when the smart shot was a punch back to the fairway, I casually took a 2-iron out and attempted a low 200-yard hook around and under the closest oak. The ball was hit solidly and just as solidly hit the oak trunk before zinging its way out of bounds. Ok I thought what rotten luck, as I took a drop as proscribed by the Rules of Golf, retained the 2-iron and again hit the ball a mile over the boundary fence thanks to contact with the same tree trunk not a foot from the previous impact. Needless to say my attempt at qualifying went over the fence with the second ball…Tin Cup has nothing on me. So how does this apply to the most recent situation Tiger Woods has to deal with…deactivating glutes? As soon as he cited that as the reason for withdrawing from the Farmers Insurance Open last week it had all the characteristics of an excuse…not a reason, not reality. And unfortunately it exhibited that same personality trait he has so often shown us in the past. He was kidding himself about what had really gone on. Or put another way if it walks like a duck, quacks like a duck, chances are it’s a duck. There’s no doubt in my mind his back “tightened up” after the weather delay and being a fellow sufferer I sympathize but what tipped me over into the excuse-not-reason camp was the already sorry state of Woods’ game plus the fact as far as I know not a single other player opted out of the tournament after going through similar delays. 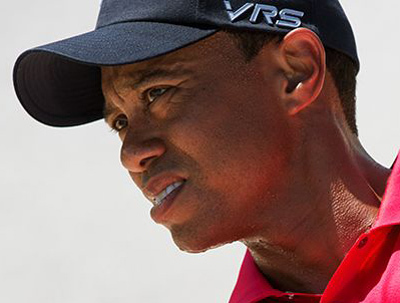 Woods doesn’t need another swing coach he needs to find within himself the solution to his sometimes seemingly apathetic and certainly often pathetic play not looking outside blaming others nor circumstances nor his gluteus maximus. The game needs Tiger Woods. Let’s hope he can get his game back and return to the Tour but not as he seems have been doing all his life—with an ignorance of reality accompanied with an arrogance that now days is certainly unfounded.